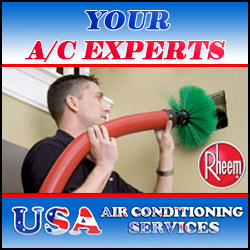 According to recent studies by the Environmental Protection Agency and American Lung Association, the air in our homes can be up to five times more polluted than the air outdoors. Because a majority of our time is spent indoors, exposure to these pollutants can have a negative impact on our family’s health. Over the past two decades, the demand for energy-efficient homes has contributed to poor ventilation, thus increasing the number of pollutants circulating within our indoor air. By not allowing air to flow through the home, harmful particles become trapped, putting its occupants at a higher risk of developing respiratory illnesses, such as asthma and COPD. In most instances, homes that with indoor air quality problems tend to have a specific (sometimes obvious) pollution source that can be identified and removed, or at least controlled. Some of the most common pollutant sources include: high particulate levels (dust, smoke, pet dander), the off-gassing of VOCs from furnishings and building materials (formaldehyde, benzene, etc. ), and elevated mold spore levels. And because the average person spends a great deal of time indoors inside inhaling these concentrated airborne contaminants, potential health hazards exist as a result. One of the most common and most serious threats to health caused by airtight housing is the exposure to toxic mold. When moisture becomes trapped inside the dwelling, mold growth usually occurs. Once black mold contaminates a home, it is difficult, if not impossible to remove. Health issues resulting from breathing in mold cells include chronic headaches, fatigue and respiratory infections. In some cases, mold-related health problems can be deadly. 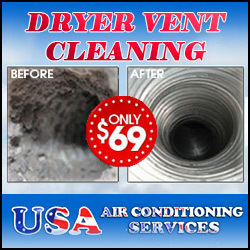 HEPA filtration is the best and most effective solution for cleaning the indoor air. Many individuals who have suffered with allergies and respiratory illnesses have experienced significant relief due to breathing clean, filtered air from the use of a HEPA air purifier. Eliminating most of the concentrated airborne contaminants from the indoor air leaves the airstream much cleaner and healthier for those living in energy-efficient homes. In the 1940s, during the Manhattan Project, the U.S. Atomic Energy created HEPA filtration for the sole purpose of removing toxic radioactive dust contaminants. Since then, HEPA air purifiers have been used widely in environments where clean air is a necessity, including operating rooms, pharmaceutical labs, as well as homes and offices. HEPA filtration can effectively remove particles and allergens as tiny as 0.3 microns, including mold spores, dander, pollen, soot, and smoke. In addition to increasing ventilation within your home, the use of a HEPA air purifier is a good investment for providing you and your family with safer, cleaner air to breathe. 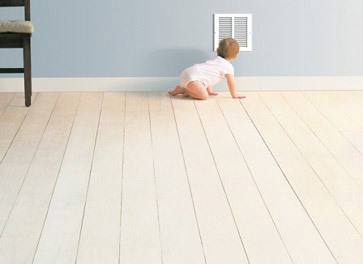 This guest blog post on indoor air quality was provided by Todd Clark of Clean Air Plus. Mr. Clark sells HEPA air purifiers for medical, commercial and residential applications. Offering only the finest, most effective air purifier brands in the industry, Clean Air Plus has served both U.S. and Canadian customers since its inception in 2003. This entry was posted in Improve Indoor Air Quality and tagged air filters, air filtration, clean air plus, hepa air purifier by Clean Air Plus. Bookmark the permalink. I have always wondered if HEPA filters are all they’re cracked up to be. I’m going to finally give them a try since my family suffers from mild allergies. That’s an interesting bit of information about the Manhattan Project too. I had no idea.